Hiya guys! I'm positively exhausted from staying up doing nothing, but nail fails for my Christmas prompts. I knew my art luck from last week was bound to end, but I thought I would be able to get a little farther in. Now I am two behind... *sigh* the struggle guys. But the post for today is one I am super excited about! 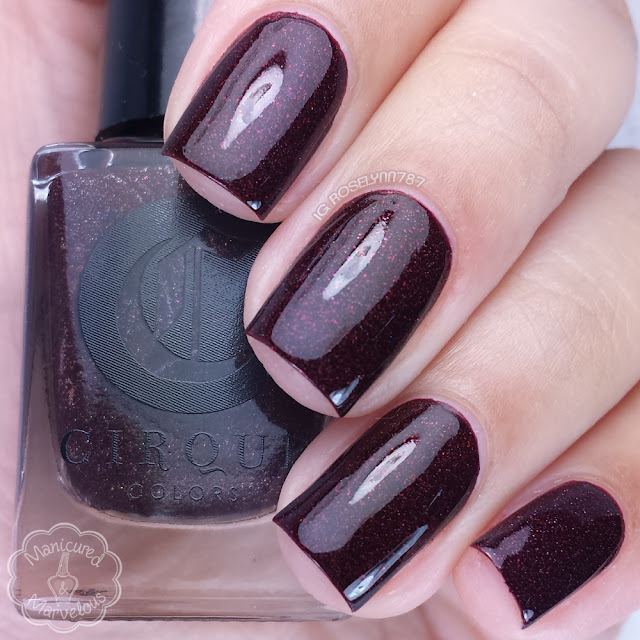 For today, I am not only sharing swatches, but I also have nail art with tutorials featuring the Icon Duos from Cirque Colors. These Icon Duos are the exclusive latest collaboration with Nordstrom and as always are limited edition! 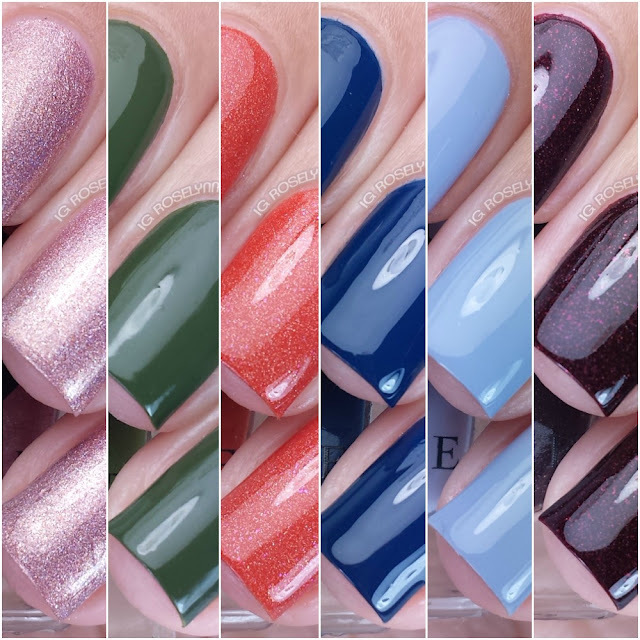 The Icon Duos from Cirque Colors retail for $22 each and you can either purchase them online at Nordstrom.com or at select Nordstrom locations. At the bottom of my post you can find the six locations where these are now available. 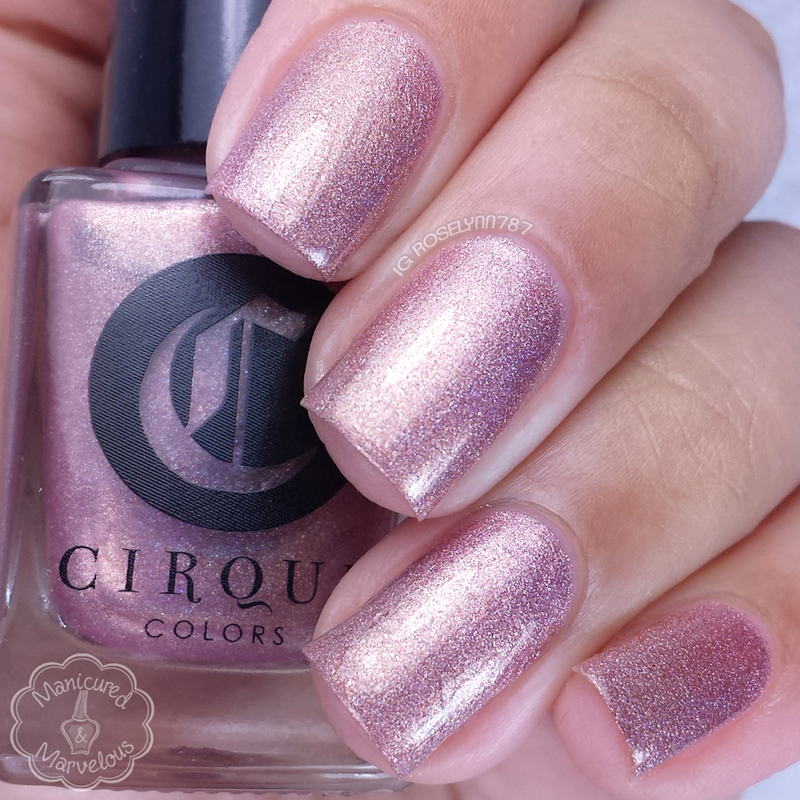 Modern Muse can be described as a shimmery dusty pink holographic. 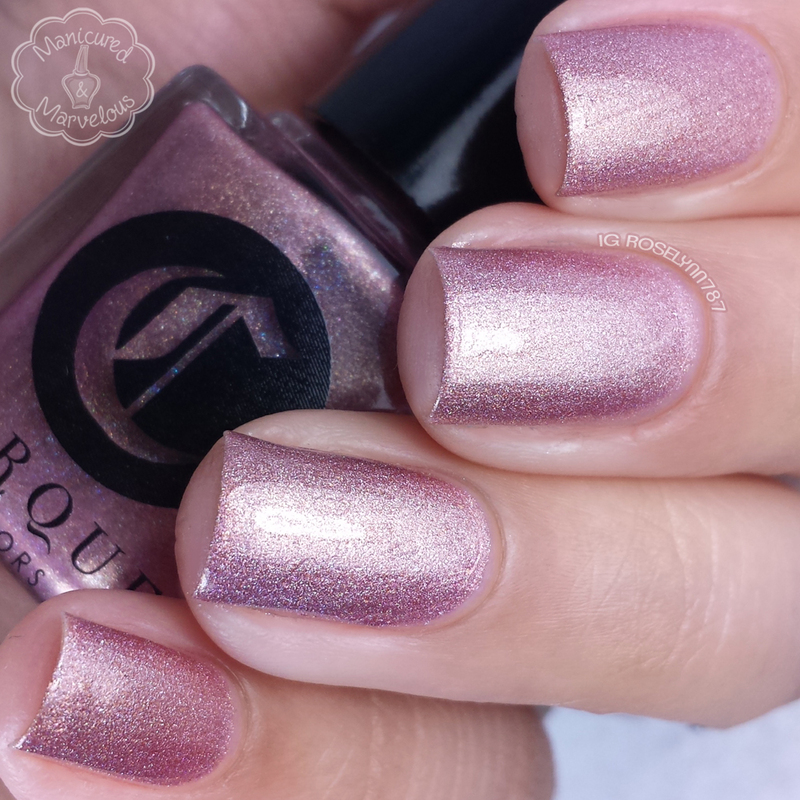 I love the slight rose-gold tone this shade has. Especially because it has been a color I have been obsessed with the past few months, so classy! Formula is thin, but manages very well and layers with ease. Dries to a smooth shiny finish. Shown here are three coats and a glossy topcoat. El Capitan can be described as a olive green creme. 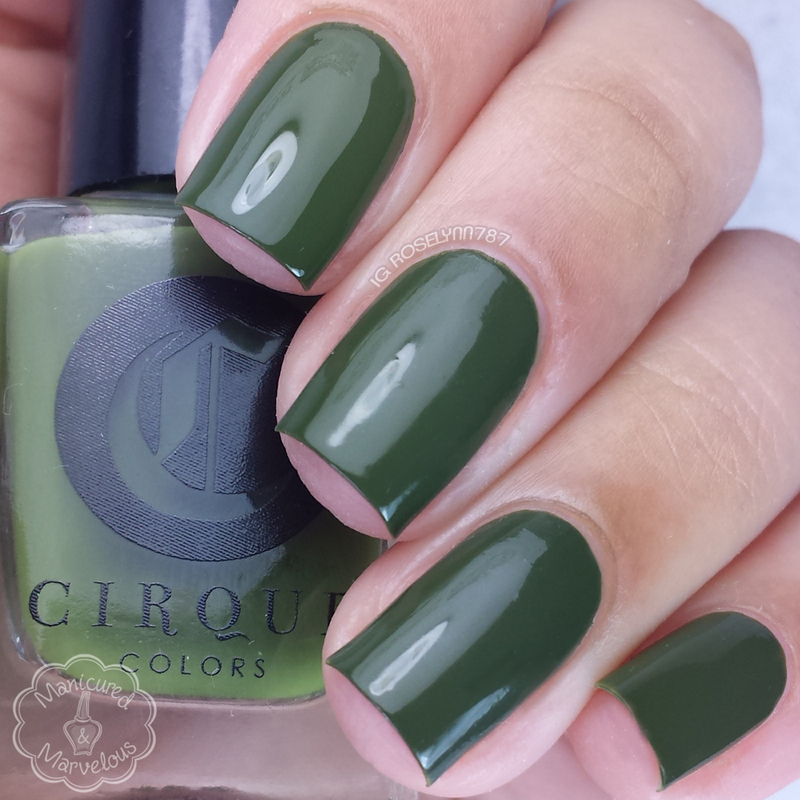 I definitely don't have anything like this shade in my collection, because I don't tend to gravitate towards this kind of green. 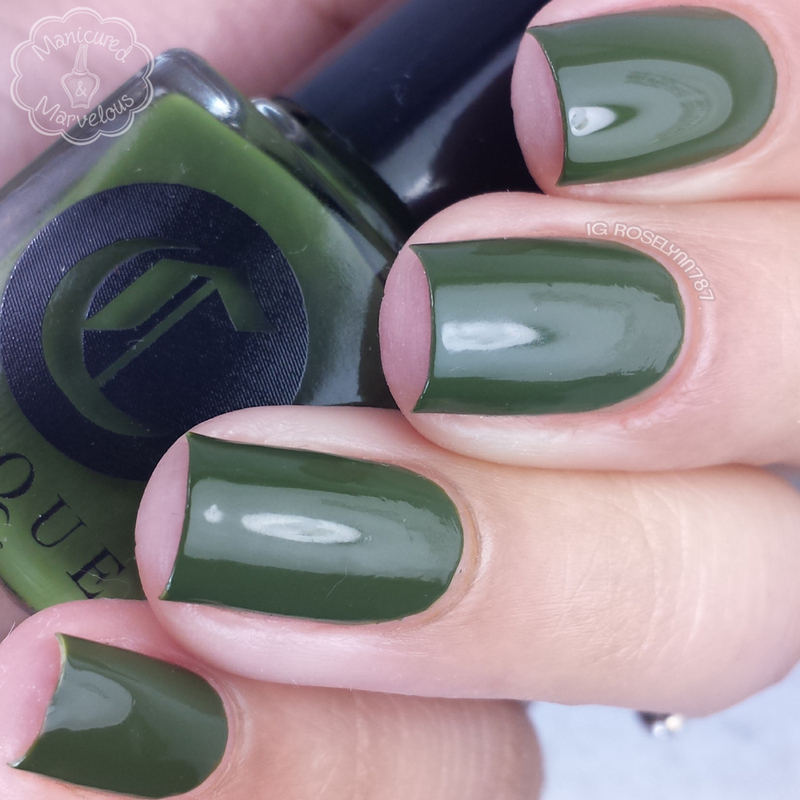 The formula is a little on the thick side, but the opaqueness counter-balances that by not needing a lot multiple coats. Shown here are two coats and a glossy topcoat. Like I mentioned in the intro, I created three nail art designs to go along with each one of the duos. I wanted to keep it simple and decided to use some vinyls from GlamMyMani. The ones I am using for the El Capitan & Modern Muse design are the waves, but you could easily accomplish the same kind of feel with straight or chevrons. 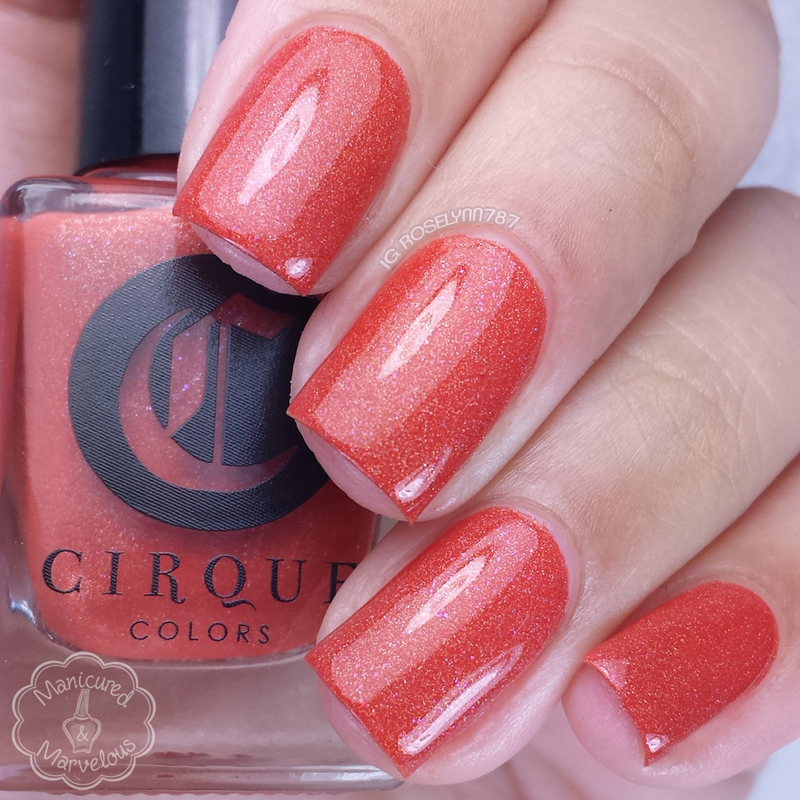 Tangerine Dream can be described as a spicy orange holographic. 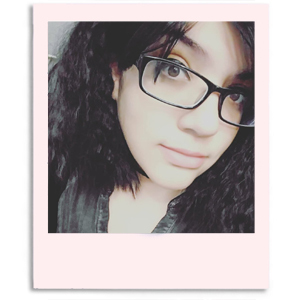 I love how well this looks against my skin-tone, which isn't always the case with orange shades. The holo finish is so strong with this one, even inside a light-box. Formula applies really smoothly without any issues and dries to a gorgeous shine. Shown here are two coats and a glossy topcoat. Selvedge can be described as a deep cobalt blue creme. 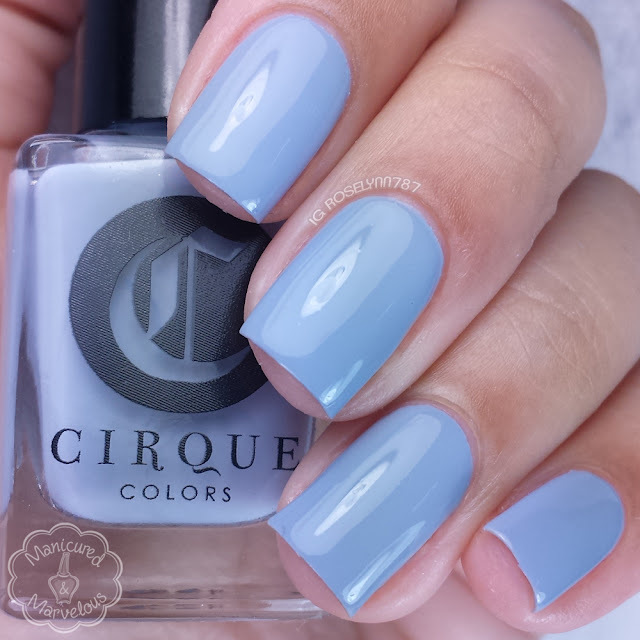 Such a luscious shade with kind of a retro feel. 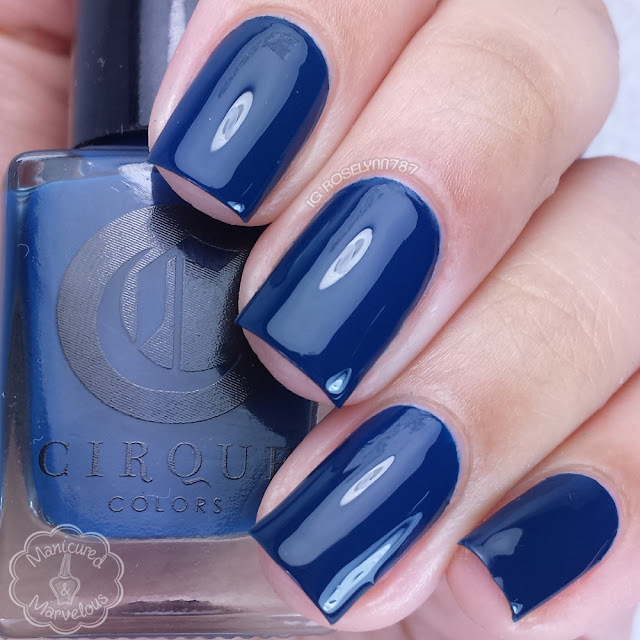 If you're new to this brand, Cirque Colors always impresses with their cremes - from colors to formula. Although all the cremes in the duos are fairly opaque, this one is much more pigmented. As such I did experience some minor staining to my cuticles on removal. Other than that the formula has a smooth application and could almost be a one coater. Shown here are two coats and a glossy topcoat. 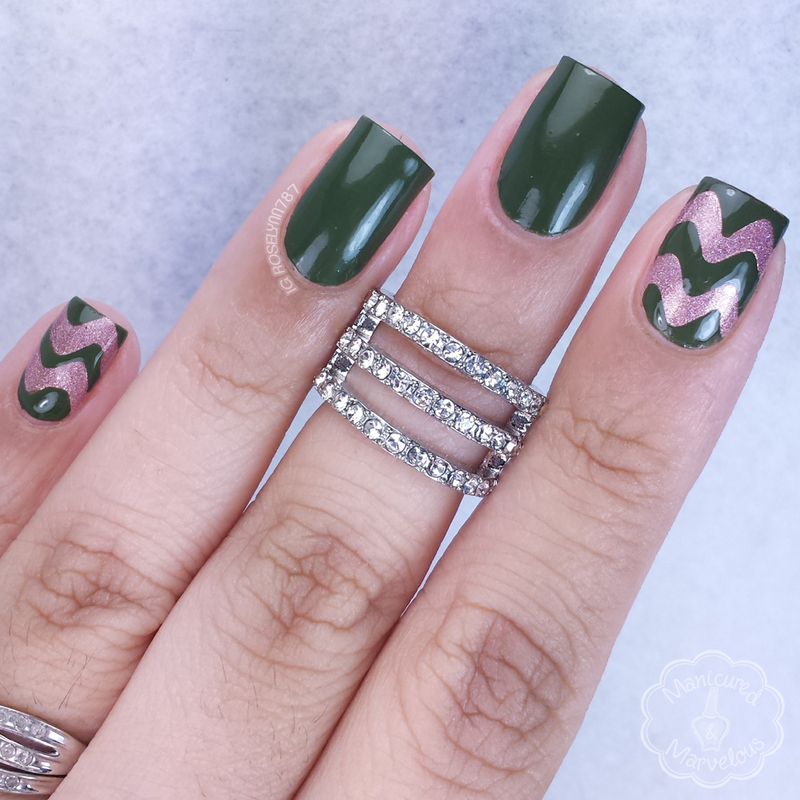 Out of all the manis today, I think this one is my favorite because the color combination and pattern go really well together. I definitely will be recreating this design during the summer time. Totally has a chic bohemian feel, right? Anyway, I used some aztec vinyls from GlamMyMani once again to create this look. Oporto can be described as a rich mahogany holographic with glowing red embers. I am in love with the squish jelly-like finish and how it adds to the beauty of the ember feel. Very gorgeous and unique! The formula applies on the sheer side, but evens out well. Shown here are two coats and a glossy topcoat. Storm King can be described as a muted icy blue creme. My favorite among all the cremes from the duos. It's sort-of a cornflower shade. I know that may be common, but I don't have anything like it so I love it SO much. Formula has a great balanced consistency, not too thin or too thick. The finish dries to such a beautiful shine on its own as well. Shown here are two coats and a glossy topcoat. And finally for this last design I was inspired by my friend Cheyenne from CDBNails143. She created this really beautiful Christmas variation, but I decided to go with a more Oxford (kind of) approach. Here I used skinny straight vinyls from GlamMyMani to accomplish this look. The rhinestones were purchased a very long time ago from eBay I believe. Overall the Icon Duos by Cirque Colors are spectacular, to say the least. I adore the idea behind it and all the color combinations are perfection. Since we're in full holiday mode I think these make great stocking-stuffers for your friends... and for yourself, of course! Oporto & Storm King were my favorite duo by far. Although I do have to give props to Annie (creator behind Cirque Colors) because El Capitan & Modern Muse are such a unique pair I never would of thought to use together. No matter which is your favorite you're not going to want to miss out on your chance at owning these! Now available through November 25th to January 3rd online at Nordstrom.com and the following retail locations. Free shipping and free returns is always available at Nordstrom.com. 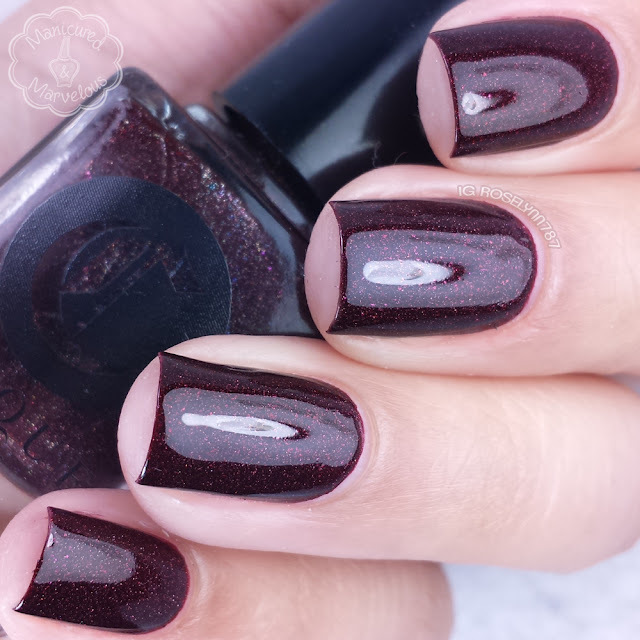 Modern Muse is my favorite polish, but all three nail art manicures are just perfection! I bet that one would look so beautiful on you! And thank you, I had so much fun creating them. I love these more and more every time I see them. 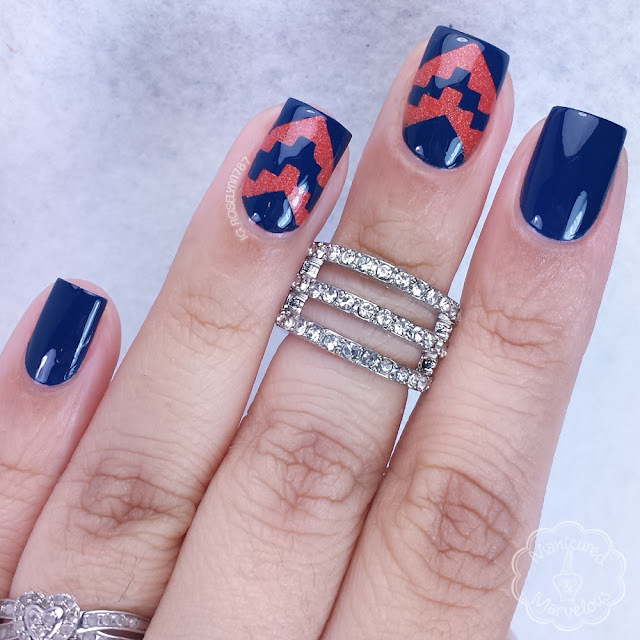 I really love that Aztec mani too. I'm in Love with Orpoto!!! 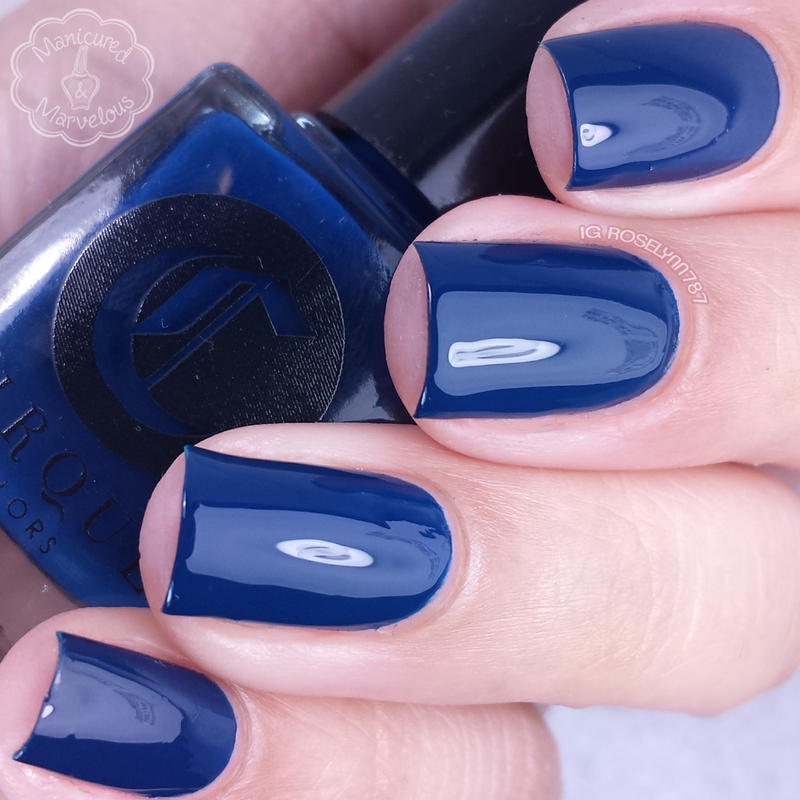 Such a gorgeous color!! 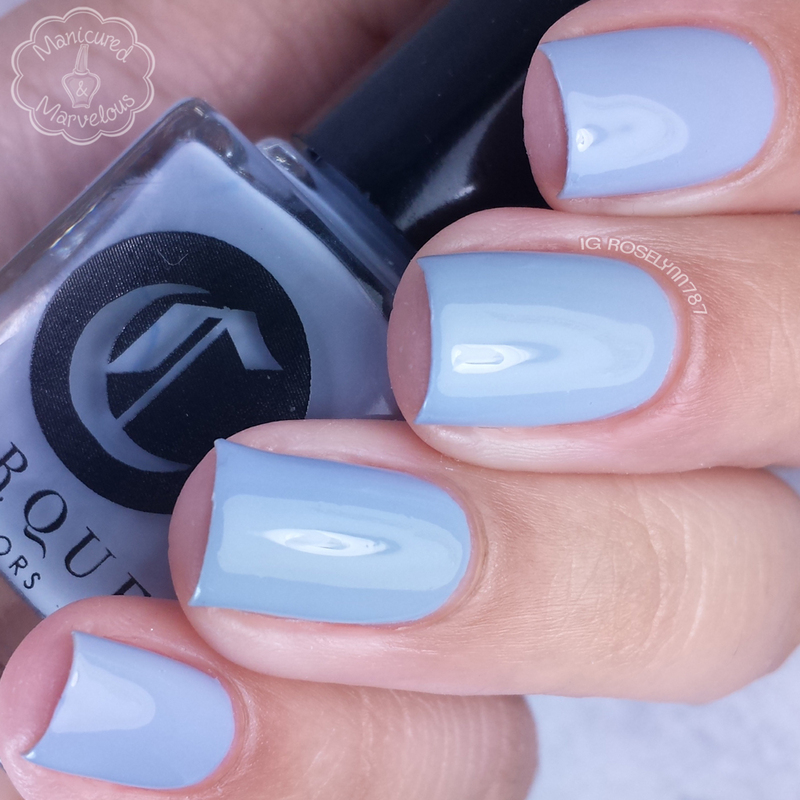 Your swatches kill me every time. 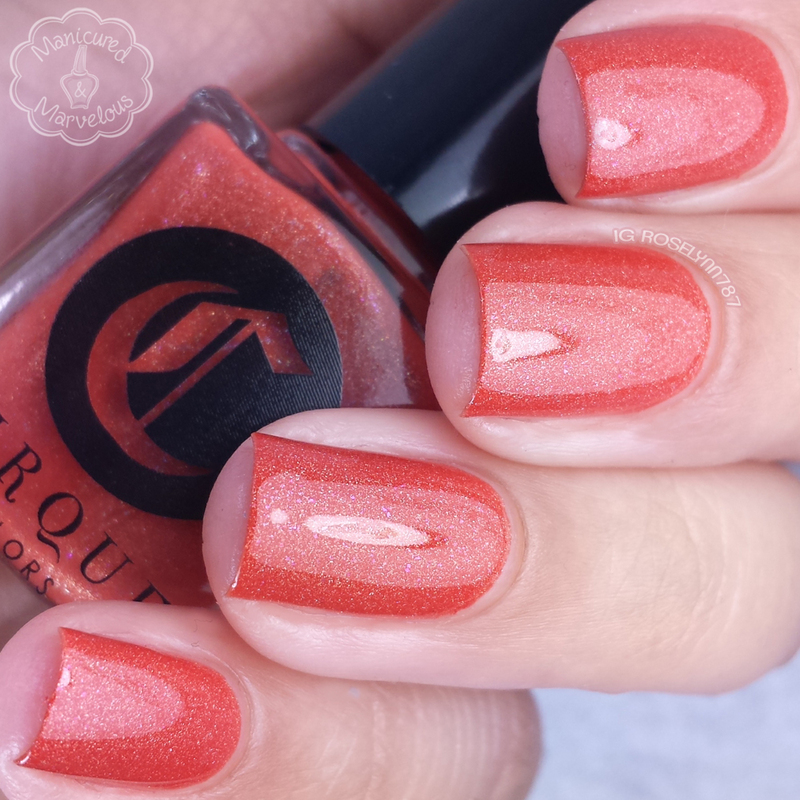 Tangerine Dream is stunning! I love orange polishes, and this one has stolen my heart! These duos are amazing! The colors are all beautiful and I love the nail art that you did with them all! I'm obsessed with that green! oporto looks amazing on you. All 3 creme shades and Oporto are making my heart sing. Too bad I'll never own these babies :(! Love the nail art you did with these! Your nail art is always on point! Beautiful swatches as well!